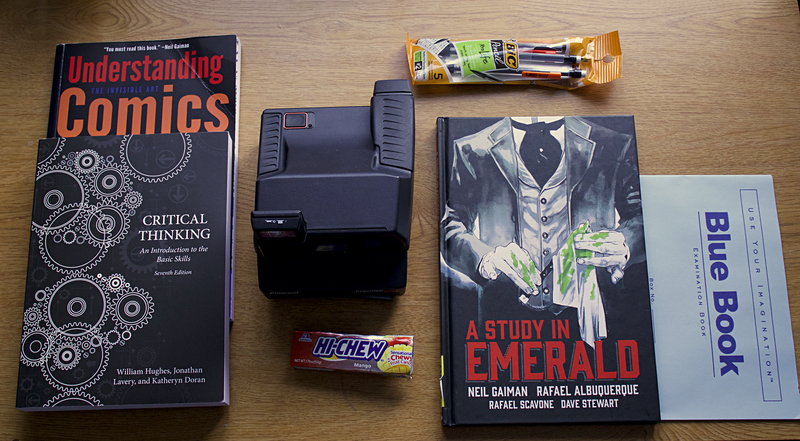 PHOTO STORY: What's in your backpack? | Grand Central Magazine | Your Campus. Your Story. 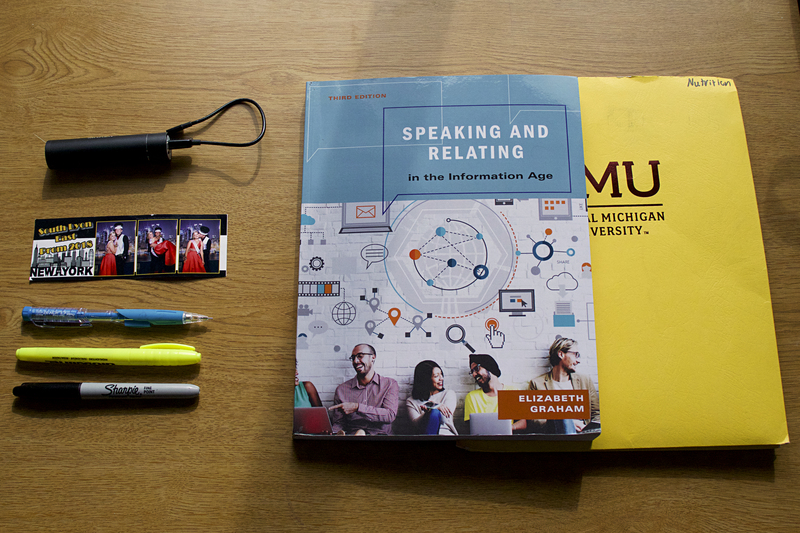 The contents of Lansing freshman Makayla Lewis-O’rouke’s backpack. Lansing freshman Makayla Lewis-O’rourke points out the open bag of half eaten chewy candies. She says her favorite candy is Sour Patch Kids, even though she can never finish an entire package. She continues talking about the different items laid out from her backpack. 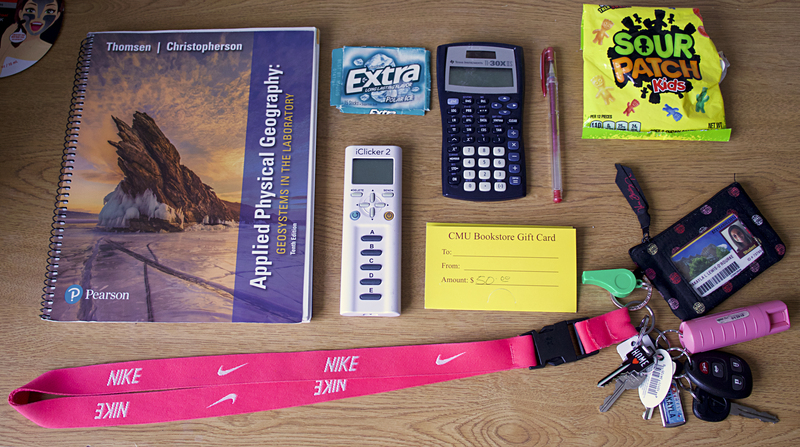 The contents of Cedar Springs freshman Julia Vandenhout’s backpack. Cedar Springs freshman Julia Vandenhout likes to keep her backpack tidy and organized. She says that she is a marketing major and usually keeps her textbooks in her bag. 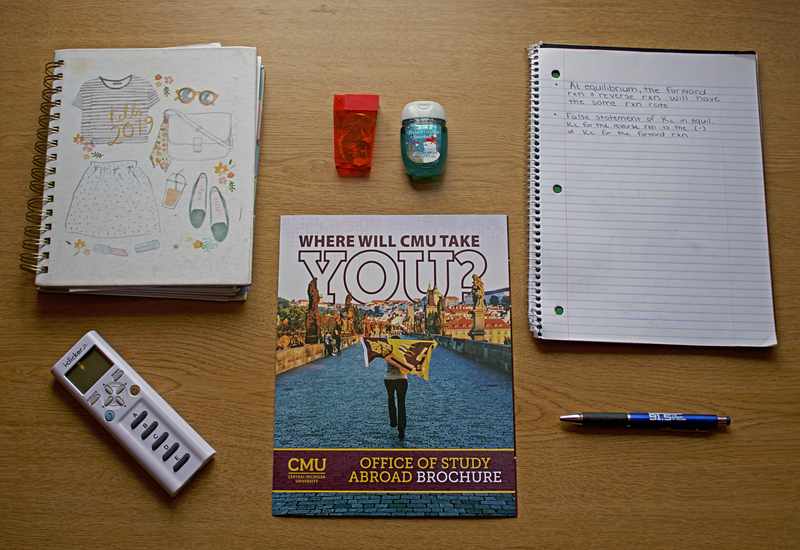 The contents of Traverse City sophomore Zane Fàger’s backpack. Traverse City sophomore Zane Fàger is into video games and comics and keeps a polaroid in one of his backpacks just in case a photo opportunity quickly arises. He says that he keeps one bag full of books and school materials he needs for his first couple of classes, and the other one full of the other classes’ necessities. The contents of Troy sophomore Kevin McNamee’s backpack. “I never leave my dorm without my hand sanitizer, germs are everywhere,” McNamee said. The contents of South Lyon sophomore Brandon Bell’s backpack. 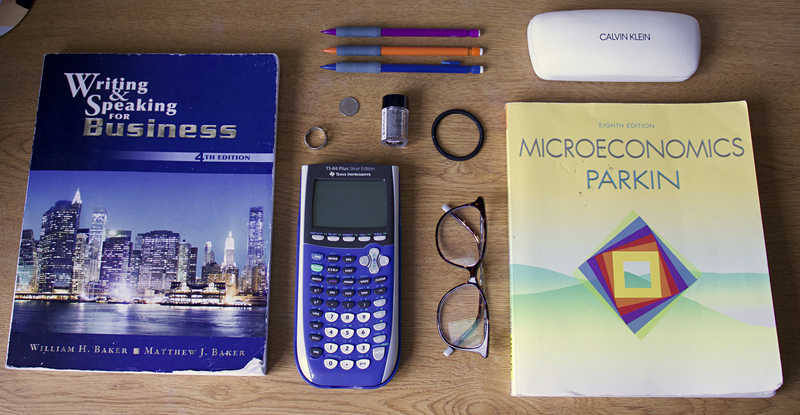 Detroit sophomore Meagan Driscoll’s backpack belongings. Sophomore Meagan Driscoll is a biomedical science student. She says she is taking a lot of science classes and with that bring a lot of labs. Driscoll says she hopes to study abroad in a few semesters. Separator image Posted in Campus Life, College Living, Features, Student Lifestyle and tagged with Backpack, Liv Alexander, Photo story.